Your children will love doing the right thing with these Reward Charts! Many fun designs to choose from and personalised with your child's name. These Charts do not have to be Reward Charts. We can change the title to say anything you want! 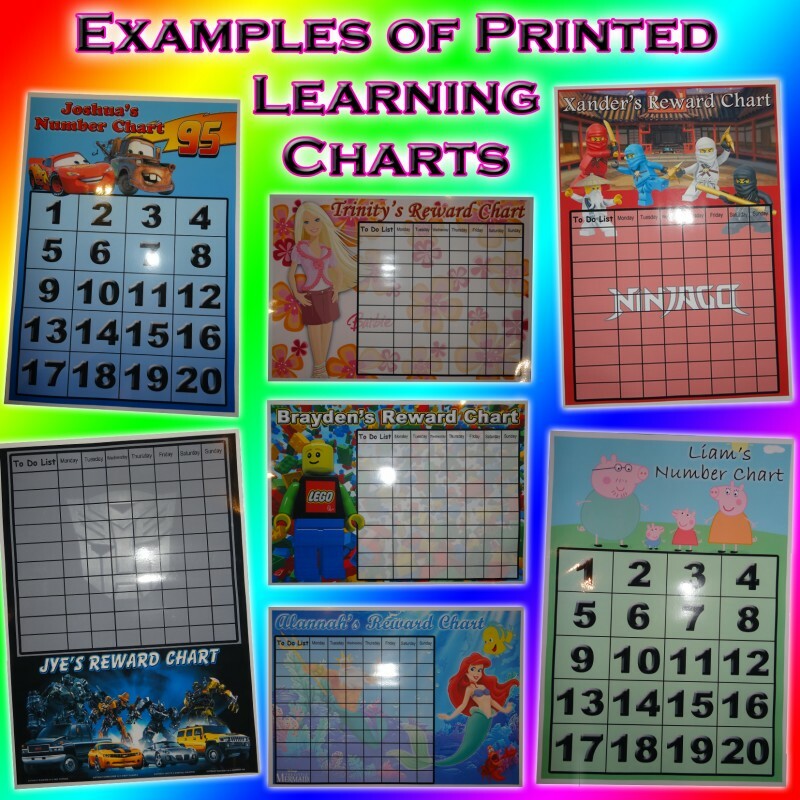 EG: Toilet Training Chart, Chores Chart, Homework Chart, etc. If you would like a title other than 'Reward Chart', enter that title here as well.